Eileen Lee has a textile background working with Levi Strauss & Co. for eighteen years where she was responsible for product development, design and merchandising. 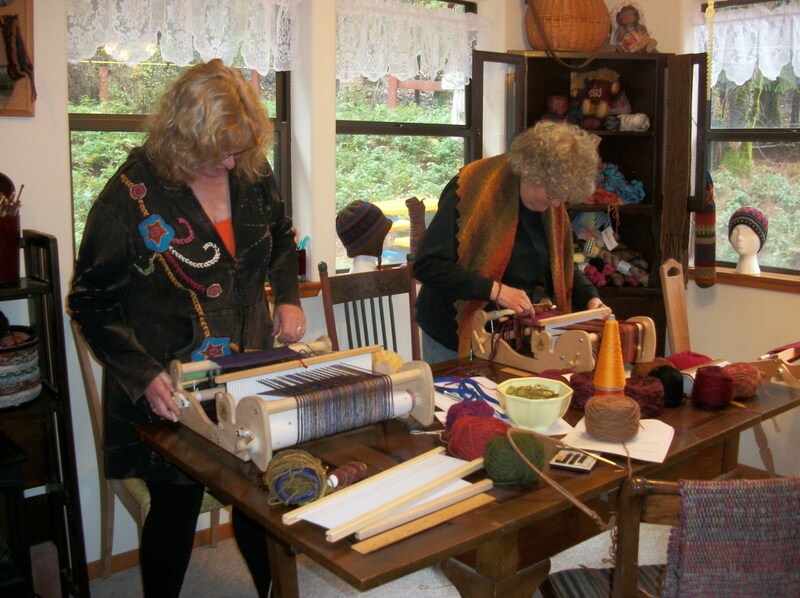 MeadowFarm Yarn Studio in Nevada City, California, is where she has been after that for eleven years, managing the shop, teaching knitting, weaving, spinning, dyeing and creating knitting patterns. She now has a studio near her home where she teaches all of the above classes. She is published in several magazines including Knitting Traditions, The Unofficial Downton Abbey Knits, and PieceWork. Her patterns and products for sale are available on her website, Ravelry (mzfiber) and Etsy. 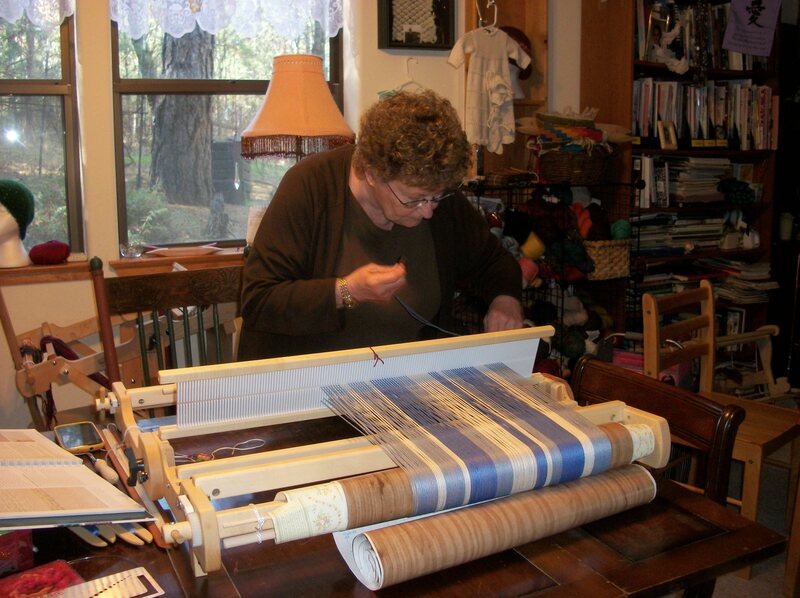 She lives in Grass Valley with her husband Bill, son Eric and dachshund Lizy. 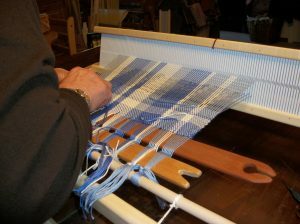 Weaving classes - Learn how to plan your project, warp and start weaving on a four shaft floor or table loom. For the floor looms, I can come to your house. If needed the table looms are available to rent. Rigid Heddle Weaving classes are also available and looms can be purchased. Spinning classes Spinning is a practical and creatively satisfying hobby with continuing appeal, especially in this age of mass production. Once you learn this skill, it is very relaxing and creative. 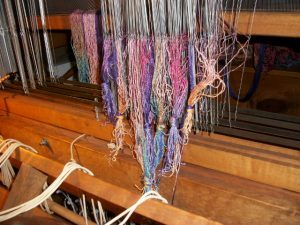 In this class, you will be introduced to the basic spinning steps to creating a continuous yarn. All types of knitting classes are available from beginning knitting, to socks, hats, lace, cables, sweaters, colour work, felting, holiday items, and many, many more. There are drop in Classes for when you are stuck on a project and need some quick attention. 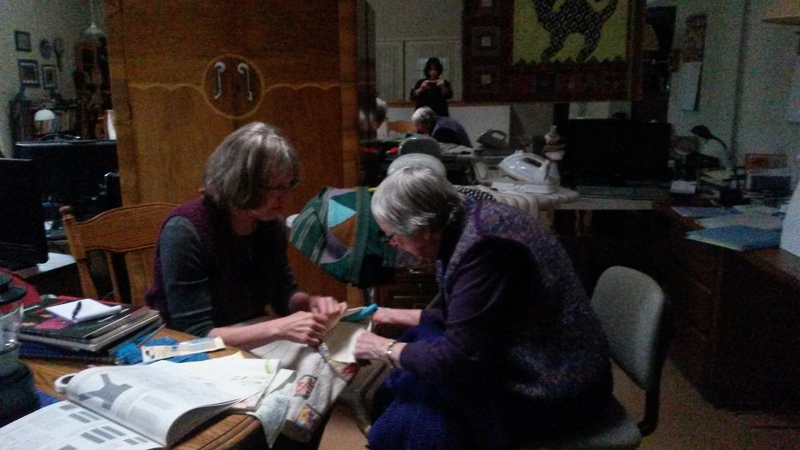 There are a lot of free knit days that are very nice. There is a lot of sharing of ideas, great stories, good conversation and plenty of laughter. 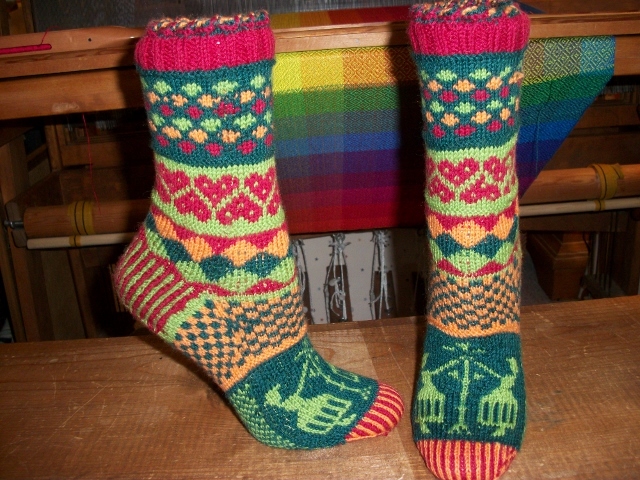 Workshops are available including "Change your gauge numbers, and you can create your own pattern" and "design your own socks". 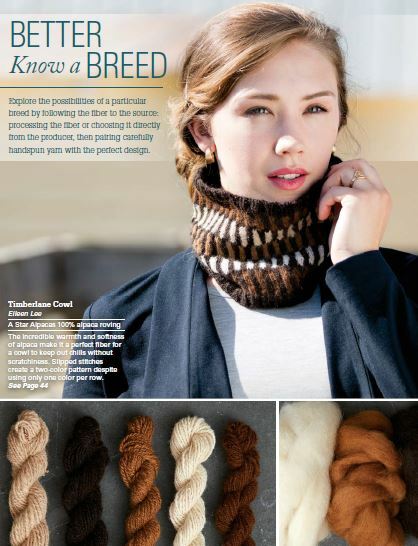 Available at newsstands for the new magazine “Spin and Knit” is October 25th. I have an article featuring A Star Alpacas. I spun the alpaca from Terry Anderson’s animals featuring five colours. To purchase the print edition: http://www.interweavestore.com/spin-off-spin-and-knit-2017. DanDoh Designs – Yumiko Alexander is a designer of a line of knitting and crochet patterns marked and published under the business name “DanDoh” located in Chandler Arizona. She started selling her designs in Japan before moving to the US. DanDoh means Warm Earth. The yarns are beautiful linens, cotton, wool and cashmere. 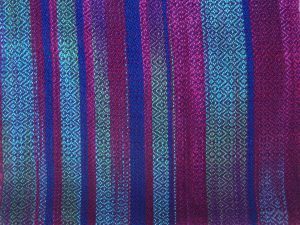 Her shawl designs are particularly attractive. Red Fish Dyeworks is a small company that dyes silk and silk blend yarn, fiber and fabric by hand. This is one of my favorite booths to visit. 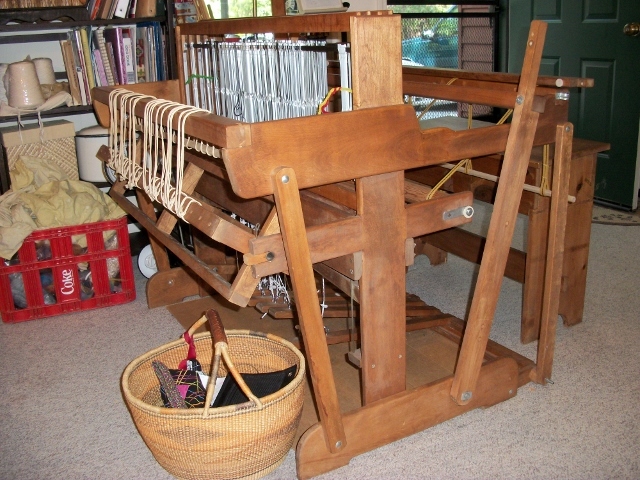 I always make a point to buy the silk 20/2 for weaving. It is difficult to make a decision on what colors to choose. There is too much to pick from. 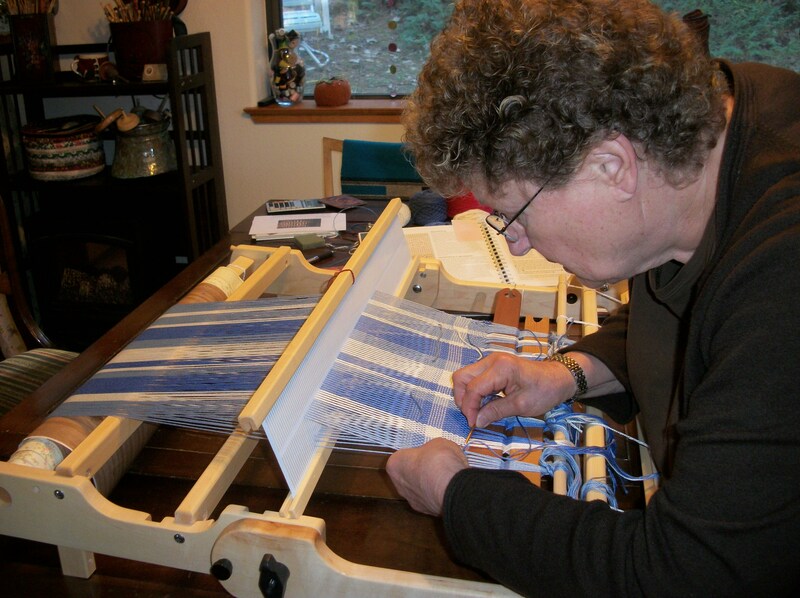 Fiberlady – Fine Bamboo Fibers & Yarns – I love to weave with the Luxury Bamboo yarnb sett at 30 epi. 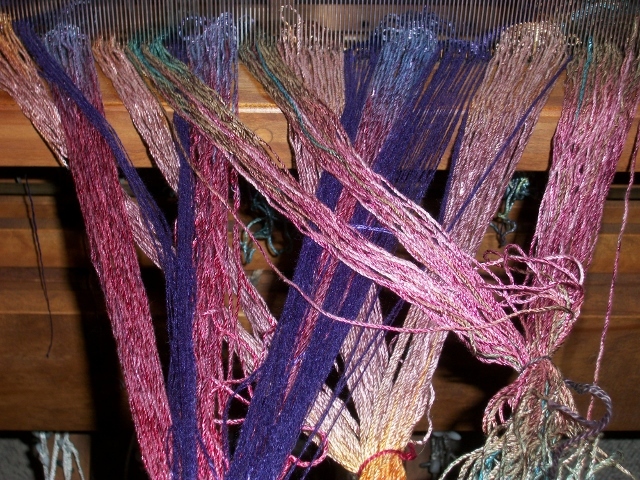 They sell several bamboo and bamboo blends yarns and fiber. There are many colors to choose from. I wove a prayer shawl for a dear friend who is very, very sick. She tends to like natural colours so we have a black, brown, moss green, ecru and a dark purple. 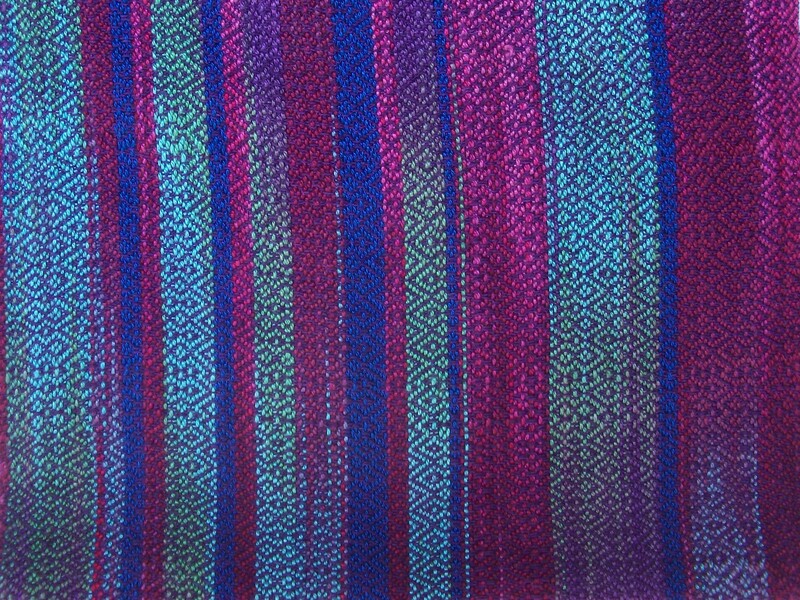 It is a colour block twill. 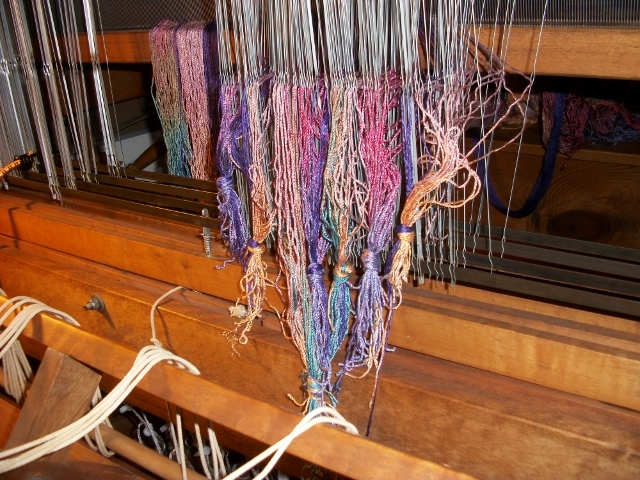 A perfect rainy day for learning how to weave. Becky and Carol were taught how to weave today. There projects are great! It is so much fun to see the excitement of people learning a new skill. Erma is weaving some kitchen towels for her grand daughter. She is on a roll now. 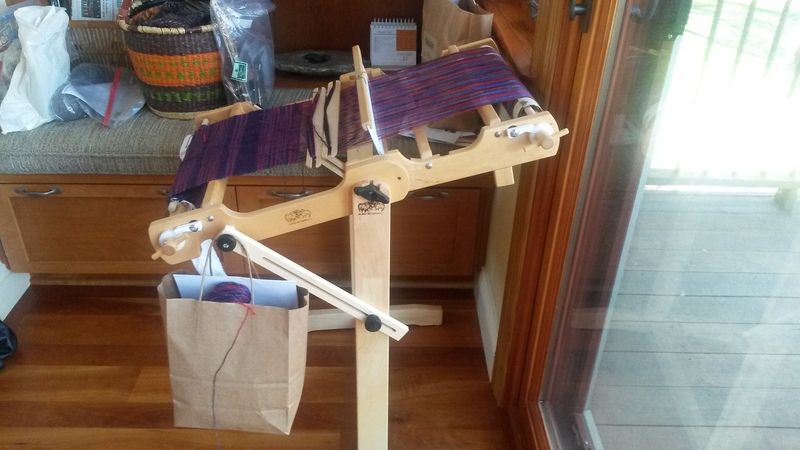 The loom she just purchased is a 25″ Flip Schacht Rigid Heddle Loom. Today I had the privilege of spending a wonderful morning with Dee Jones. She instructed us on “How to Sew with Handwoven. As most of you know, she has a wealth of information. Thank you, Dee, for a perfectly delightful morning and the inspiration you have given me. This picture makes me laugh because you can see my reflection in the mirror taking the picture. My thought about this, if he values his life, my husband would never think of pulling out my needles!